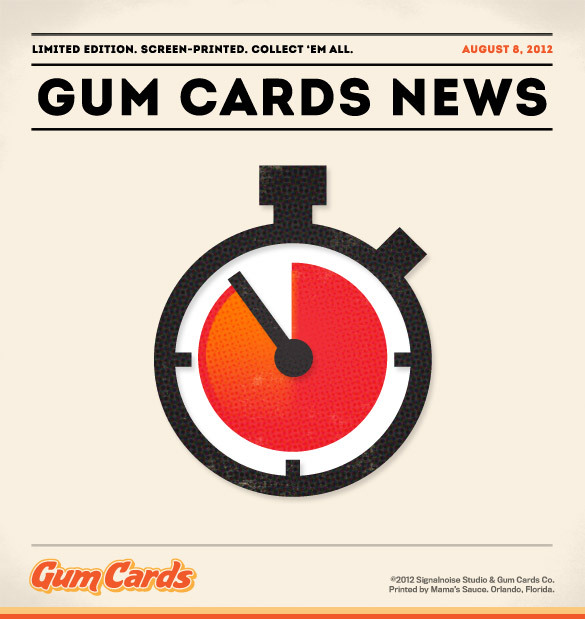 Here we are, the final day of the GUM CARDS fundraising effort. What a heck of a month this has been. 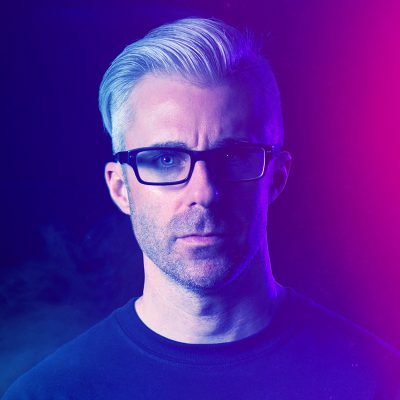 Over in the Signalnoise HQ I’ve been holed-up creating designs for cards, goodies, web graphics and everything else needed to keep the train moving. And out there on the web all of you have been lending your support through tweets, pledges, blog posts and general encouragement. Just, wow. As I type these words we have 17 hours remaining as we sprint to the finish line. The project has already been successfully funded but every little bit counts, meaning I can push the subsequent cards into production. 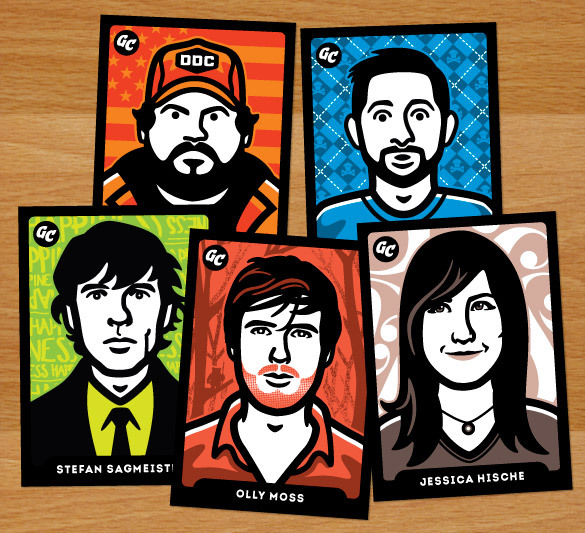 As it stands, the Aaron Draplin and Johnny Cupcakes cards are being printed now with the Stefan Sagmeister card close on their heels. Everything is moving, gang. So, if you’ve been waiting to pledge and secure the first 2 GUM CARDS, now is the time to act. Swing over to the Indiegogo fundraising page to see how you can help. We’re down to the wire and this funny little project has grown far beyond all expectation. I’ll be working hard to make it count. Thanks so much everyone.